Monaco coach Thierry Henry believes the appointment of former distance runner Bouabdellah Tahri as a member of the medical staff to aid mental preparation will be a great thing for the club. 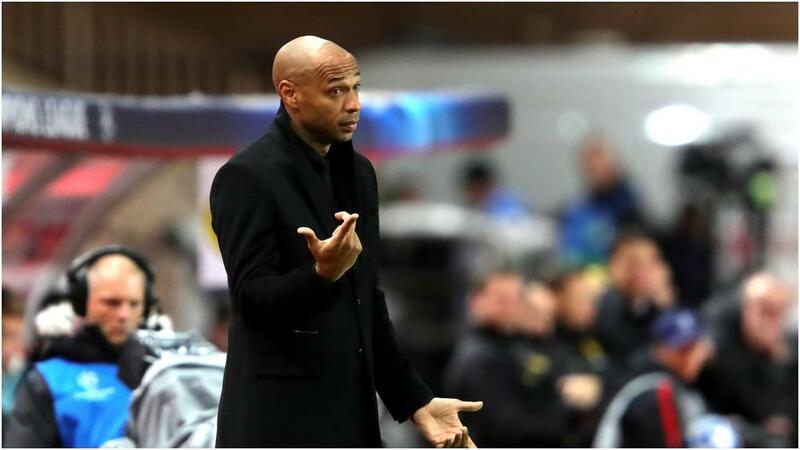 Henry's arrival as coach has not sparked a revival in fortunes for Monaco, winning just two games since the former Arsenal and Barcelona star took charge. The club sit second bottom in Ligue 1 and crashed out of the Champions League with just one point from six group games. Their struggles have led to the principality club turning to Tahri, a 2009 World Championship bronze medallist, to help deal with a host of injury problems that have hindered their season. He will be in charge of "the performance, re-training and mental preparation of the professional team". "I didn't know him personally, but I think it is a good thing for the club," Henry said at a media conference ahead of Sunday's clash with Lyon. "We know what he achieved in his professional career. It's great for the club, he's not the only one who just joined us in Monaco. "Every team needs it. We had one at Arsenal, one at Barcelona, they are everywhere. That's it." Lyon qualified for the knockout rounds of the Champions League after a 1-1 draw at Shakhtar Donetsk, and Henry is aware of the challenge his side will face in what is their first Ligue 1 game for two weeks after last weekend's scheduled derby with Nice was one of the many games postponed due to riots in Paris. "We have to play this game now. Winning two games in a row is just anecdotal. You know that we couldn't play our game against Nice and it may have been better for us to have another win," Henry added. "That's what I would have hoped for. We'll play away once again. It's going to be a tough game in Lyon. "It is never easy to play them away especially when they just went through in Champions League."